The TG is a wearable high precision positioning product with optional sub meter and centimeter level accuracy. Its stylish industrial design is light and strong and can respond to a variety of harsh field operating conditions. The battery is replaceable, which satisfies the demand for a long work day. The TG is compatible with iOS, Android, Windows Mobile operating systems, Bluetooth, Serial COM Ports, various types of tablet PC computers and smart phones. Intelligent terminals allow the TG to provide high-precision positioning data. 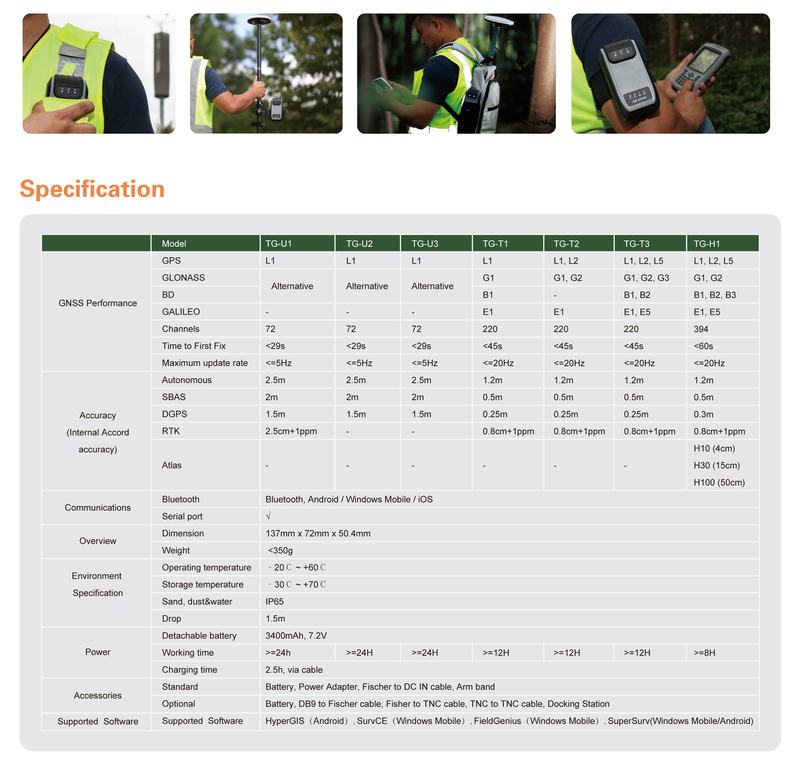 It can be used in an variety of applications such as electric power inspection, forestry, surveying, pipeline inspection, geological surveying, terriorial law enforcement and other fields which require a high level of precision.